NHA TRANG, VIETNAM - OCTOBER 25, 2017: Walking through the Yen Sao night market, time lapse. Nha Trang is a popular sea resort in southern Vietnam. 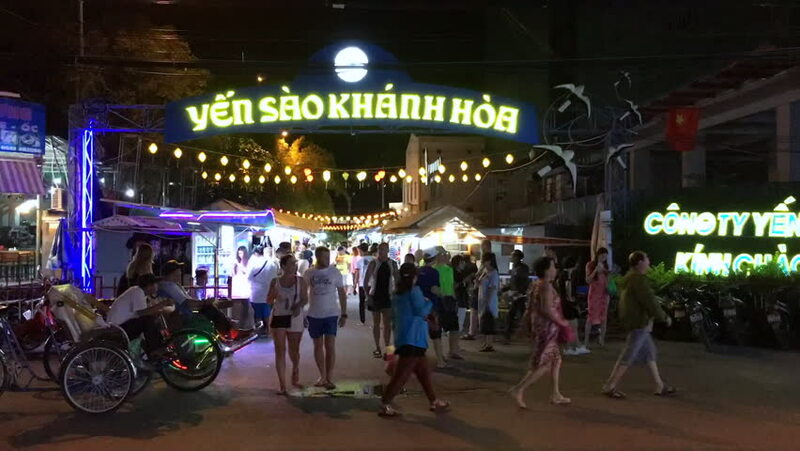 4k00:45PATTAYA, THAILAND - CIRCA AUGUST 2018 : View of walking at “WALKING STREET” in Pattaya. This street is famous for night spot. 4k00:15SIEM REAP, CAMBODIA - FEB 11: Driving towards the Pub Street nightlife area on February 11, 2016, in Siem Reap, Cambodia. Siem Reap is a popular resort town, often called the gateway to Angkor Vat. hd00:13GOA, INDIA - 26 JANUARY 2015: People and vehicles passing down the street bazaar in night time in Goa.